"... marvellous readings, with world class playing ... (engineers have) achieved tactile, glowing sonics, placing the orchestra in a warm and open acoustic space and capturing every textural detail ... it’s a good time to be a Nielsen fan." "Five Stars ... it’s a joy to find so much intelligent care and attention expended on Nielsen’s First Symphony. You can feel the exuberance, the intellectual control and also the sense of danger ... the recordings too are excellent: richness but not a hint of congestion and plenty of clarity without sacrifice of atmosphere. All in all, a tonic." "Recording of the Month ... a Nielsen First to sweep listeners off their feet and blow old favourites into the proverbial weeds. (I commend) BIS for their bar-raising sonics ... punishing dynamics and a wide, deep soundstage make this the most immersive and exciting version of this symphony that I know ... you won’t find more compelling and better recorded performances of these two symphonies than this ... a field-leading release, both musically and sonically ..."
This highly-praised ICMA-nominated release features Nielsen's rarely recorded Symphony No. 1 alongside the composer's better known Symphony No. 3, both played superbly by the Royal Stockholm Philharmonic Orchestra led by Sakari Oramo and presented in reference quality sound. 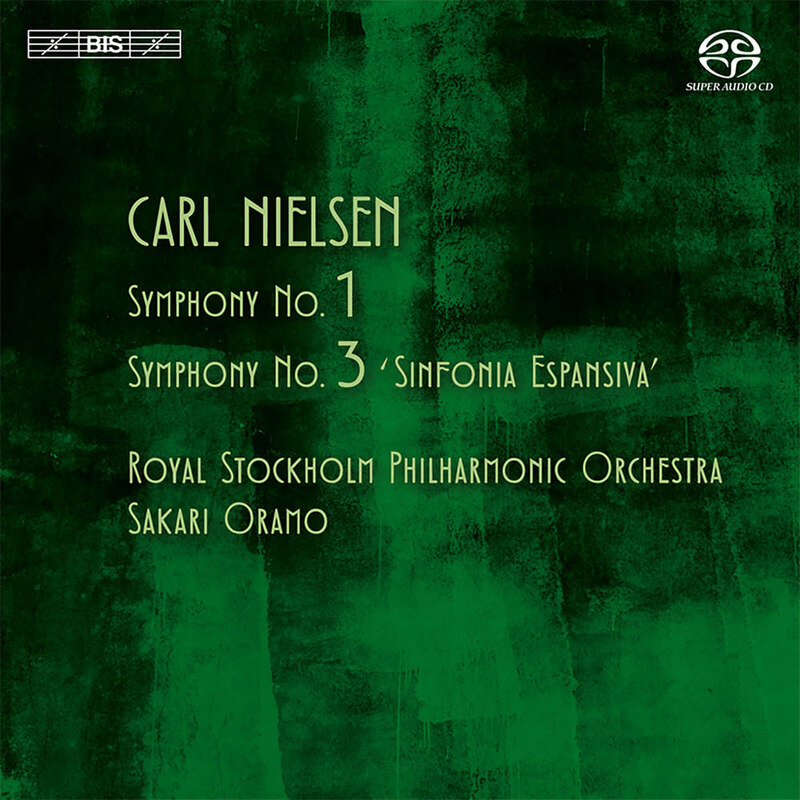 The album is the middle volume in the orchestra's acclaimed cycle of Nielsen's symphonies. STAX and Sennheiser, and Sequoia and Pyramix digital audio workstations.